Treat yourself to something special today! Get one of my patterns for free over on Ravelry! 1. Please Share this post on Facebook or Twitter (see those handy little Facebook and Twitter icons at the end of this post? Just click one of them, and the share screen will pop right up). 2. 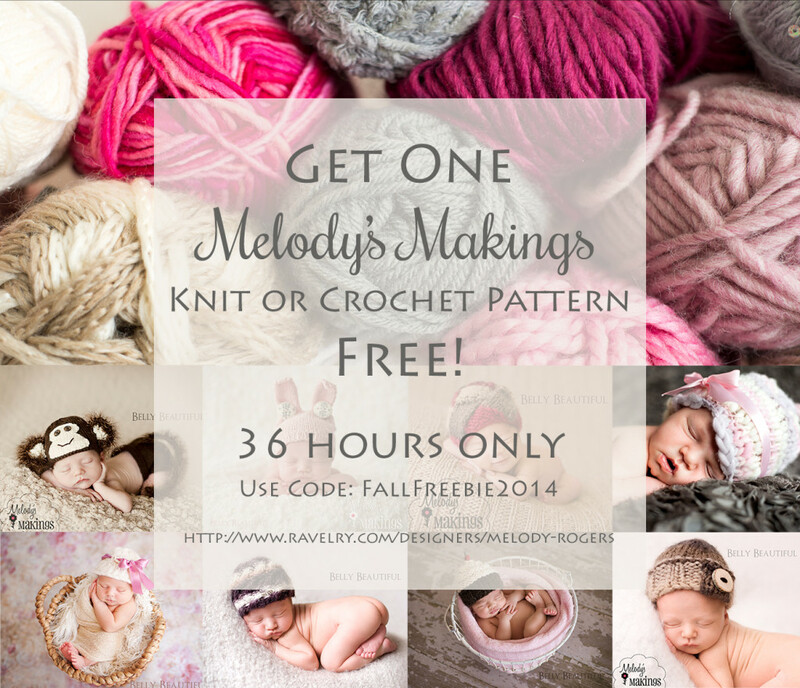 Head over to my Ravelry store, browse, favorite, and download your freebie! This offer ends Monday October 6th at Midnight Mountain Time. One Free Pattern Per Crafter Please. Thank you so much Debbie! That means a lot. Hmmm….it should still be working. Are you on the Ravelry site? It won’t work here on my site. If so, you might try using a different browser. Yes, I finally figured it out and did get the free pattern on the ravelry site. Thank you and I really love the pattern. I have tried to get your coupon code to work and it still isn’t working for me. Hi I shared your item as requested went to link for free pattern did not work ??? Did you make sure to capitalize the F’s? That will trip up the system. You’re welcome! Hope you enjoy it immensely! Thank you so much for the Fall Freebie, have to learn dpn’s! Thank you so uch for sharing yur wonderful patterns with us, Mlody. Thank you, Melody! I chose the Little Lamb Overalls and I cannot wait to get started!! I chose the great little dress “Just for Frills”, I adore it . Thank you so much for the free pattern. I chose the Rainbow Scallop Hat. It should match well with a blanket I made for my first grand-baby last year. I would like 4 free patterns. Unfortunately I can’t seem to get them. Please. I tried entering your code and nothing. The code is good for one pattern only. So you’ll need to purchase the others. Are you shopping on my Ravelry page? The code won’t work here on my site. Thank you so much Melody!! It was so hard to chose but I chose the valentine bonnet, it was one you recommended to start with learning to knit. I hope I can do it justice! Haha….careful what you wish for! Thanks for the pattern. Heading over there to drool at all your lovely work. Hope you have wonderfuly productive week! Awesome! You’re welcome. Hope you enjoy it. Your patterns are adorable…thank you so much for the free Pea Pod snuggly pattern! This is a great start to a new week! Thank you, I’ve picked the butterfly wings. They look amazing and I am thinking of making them with crochet thread to get them a bit smaller for one of my BJDs. Thank you so much for the free pattern. Thank you so much ~ I chose the Crochet Chevron Lace Bonnet and Blanket Set. Thank you so much! I can’t wait to start the Little Explorer Crochet hat! It was a very hard decision! Not sure which was more beautiful the patterns or those sweet angel babies! You do such wonderful work. Wish I could knit. But I cannot. So I’ll just drool over yours 😉 I got your watermelon bonnet. Thanks a bunch! Thank you much for the pattern! Thank you so much Melody for your generous offer! I have never done entrelac so I am anxious to try this! love your patterns. thank you! Thank you for the pattern. I got the Baby Hoot Crochet Pattern. Thank you so very much. I am looking forward to using your patterns to make lots of lovely things for my grand baby. Thank you! I picked the Baby Hoot crochet hat pattern and can’t wait to make it! Thanks so much Melody!! You’re always so generous! Love your patterns!! Thank you so much!! I chose the Lumberjack Set. I happen to know a cute lil boy to make this for!! Thank you so much. I don’t use facebook or twitter any longer but I did share on google plus. Thank you so very much! I chose the little lamb outfit for a friend’s little girl that will be born in February! Thank you so much for your generosity in this. I am loving getting updates from you. I’m so glad Annette! You’re welcome. Thank you so much, Melody. All your patterns are so cute and it was difficult to choose. I eventually chose the Baby Hoot Hat. Thank you so much! I chose the Boho Hat and Pants Set, so cute. I, however, did not realize that most of your patterns are knit. What a surprise! I guess I now need to learn how to knit! :o) Happy Hooking! Haha! I’m working on more crochet patterns. Lots coming soon! Thank you so much Melody, I ended up using the code for the frilly romper and also purchasing the beanie and leggings set, so adorable! So much cuteness. How to choose? Thanks for the freebie! I’m getting the butterfly wings but I will be back for the Yoda hat, the frog hat, the…Oh, practically everything, lol. Thanks for the freebie! Love your patterns, they are so adorable, hard to choose which one to get. I settled for the Little Lamb Overall and Hat set. Thank you again. Thanks! Your photo props are adorable. No babies to make one for now (I will have to remember you when I find someone who needs a mermaid baby!!!) so I chose the cute crochet cabled hat. My teen daughter likes it too. I’ve never tried crochet cables so it will be fun to learn. Thank you again. Oh what cuteness!! I have signed up for your newsletter and shared on FB. Thanks so much for the pattern! Awesome! Are you just getting started knitting? Thank you for the pattern. I got the cute Elf hat one. Hey Sharon! Are you on Ravelry? I’m showing it working on my end. If you continue to have trouble, send me an email at melody@melodys-makings.com and I’ll get back with you as soon as I can. I just used the code to buy the Adult Slouchy Cabled Hat Crochet Pattern. I love it and I’m learning how to make cables. I wish you had more adult crochet patterns! I see you have quite a few adult knit patterns, but I only crochet. PLEASE make more! Thanks Anne! I’m working on it 🙂 I have one coming out this week that includes all sizes. I wish to thank you so much for the free pattern. I have used several of your patterns and adore them. I tried to get a free pattern from someone else the other day but did not succeed. I am just not all together on the computer and have a time getting things right. So I am double happy about this. I get a lovely pattern and actually used the computer correctly. Boy what a day. Thanks AGAIN. Awesome Pat! Yay for a double win 🙂 Thanks for the smile! Thanks Melody! Picked the cute Simple Square Beanie pattern. Can’t wait to make it for my nephew and son! Thanks so much Melody for the free pattern. I downloaded the sock monkey hat and can’t wait to see my grandkids in it. I hope that next week you are out of your funk and continue to be creative, all your patterns are adorable. I was able to use the code for a free pattern and I hit download and now I cannot find the pattern. I was not signed into my Ravelry account and it did not save on my ipad. You should have had to enter an e-mail address. I imagine you should find it there? I’m on disability and just learning to crochet, so it really helps when i can get such a terrific pattern free to try out ( i chose the tractor overalls, but i’m doing them for a wee girl – Huckleberry Rose – so i’ll do them in pink or lilac, with a white tractor). I shared this special on FaceBook, especially since i have friends that also love to craft. Wonderful! So glad you’ll be enjoying it. Thank you so much for the free pattern! I’ve had the corset in my favorites FOREVER & even have some beautiful thick & thin in my stash! I can’t wait to get this worked up! Wahoo! Share a photo when you finish – would love to see! Thanks for the free pattern! I’m having a problem picking one because they’re all so great! You’re welcome! You too Kim. Wonderful! Hope you really enjoy it. Thank you so much. I am making a bonnet for my grandaughter due the first week in December. Thank you for the Sock Monkey Hat pattern. I love how you have the instructions separate for each size. Thank you! I’ve been wanting to learn crocheted cables, and your slouchy cabled hat looks like it will fit the bill perfectly! Wonderful! You’ll love them. Much easier than they look! Thank you very much for the free pattern, I had such a hard time picking ones. I love all your patterns and have many of them in my collection. thank you once again, you are such a kind person inside and out. so much so that you even called me one day to say thank you for being a customer of yours. that truly touched me that day. You’re so welcome Carrie! It was so fun to get to put a voice with a name, and say thank-you first-hand. I can’t even tell you how much I appreciate return customers like you. Wonderful Barbara. That is so thoughtful! Thank you so much for the Boho crochet pattern. Another photo prop for my daughter!! hat and blanket. Can’t wait to make them. You’re so welcome! Hope you enjoy! Thank you for the free pattern. It was a great b-day present. Thank u for the free pattern. Looking forward to making it soon. Thank you!Love the snowflake pants and beanie set! Thank you so much. You do lovely work. Thank you so much for the free pattern!! I can hardly wait to start it for twin great grandsons!! I have many of your patterns and have loved all of them. Hope you are doing well with your new venture! Thank you Cheryl! Twins!? How exciting! I hope you’ll share a photo after they arrive. Thank you so much for the free pattern offer! I have so many of your patterns. I can always count on your patterns being very well written. I have added the button elf hat to my wish I could get to list! That is so sweet of you Nancy! Thank you for telling me that – it means a lot. Thank you very much for the lovely pattern. I hope you have a good week! Thank you thank you thank you. I have been looking for a knit mermaid pattern and you have one. Thank you so much for the free pattern! I got the slouchy cabled hat pattern. Thank you!! Thank you!! How am I ever going to choose between so many beautiful patterns? 😀 I found you through a Moogly facebook post, and signed up for the newsletter, as well. Keep up the good work 😀 . The coupon code worked just fine for me. Thank you very much for the pattern! Thank you very much! Your patterns are beautiful, I just wish I was a more experienced knitter! I chose the crochet version of the boho hat and pants set and I love it! Thank you so much, your patterns and photos are gorgeous! Thank you Jenni! That means a lot. Thank you for such a generous offer! I’ve loved all of your patterns that I’ve purchased in the past! Can’t wait to try this Sock Monkey hat and can’t believe I snagged the pattern for FREE! I also love that it includes bigger sizes – now that my youngest is 5 I have to figure out how to make the patterns a little bigger these days. Thanks for sharing!!! Love your designs!!! Thank you. I have a great nephew that is due after the first of the year. His parents are John Deer fans. The tractor overalls will be perfect to make for a gift. Thank you for the Fall pattern gift! After scrolling several times through your collection, I chose the Strawberry Short Set Knitting Pattern. I love that you list the yarn that you prefer, thank you! You’re very welcome! Good choice – that one turns out sooo cute. Thank you for the free pattern. This was very kind of you. Thanks so much for the freebie pattern! I chose the Red Knitted Cape with Hood. I thought it was so awesomely adorable! Thanks again for sharing! You’re very welcome! I love that one – so cute! Thanks, excited to try it. You’re very welcome! Thank you so much. Thank you so much for the free pattern. You make such beautiful things! Looking forward to seeing more! Thank you for your generosity! Your patterns are all gorgeous and I had a hard time deciding! Love, Love, Love your patterns. They were all so cute, I had the hardest time picking one for free. Cannot wait to get thru the holiday season so that I will have time to try our the new Romper pattern I got from you. So many great ideas, I will be back to get more. Thank you for the pattern! Your designs are do lovely, I can’t wait to make this! Thank You for the Free Pattern Offer. I got the Tractor Overalls pattern . Thank you so much…new great niece on the way. I got the crochet style cloche. Love it! Thank you. I am going to make this for my grand-daughter because she is out growing last years hat and I promised her a new one. Wonderful! I hope she adores it. Thank you so much! I can’t wait to get started on the hat! God bless you! Thank you so much! 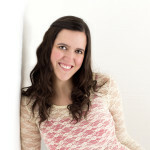 I get to try your crochet tutorial for the lovely chevron lace bonet and blanket set, yoohoo!! I saw the slouchy skull hat a few says ago. Is that on available? That must have been through someone else. I don’t have any skull hats – sorry! Thank you so much; love your work. Thank you so much for the cute pattern! It was hard to choose, they are all beautiful. Thank you so much for the free adorable pattern. I chose the Lumberjack Set Knitting Pattern. 🙂 It is so cute and boys run in my family, so I’m sure I’ll be knitting quite a few of these. Again thank you for FallFreebie2014!!! You’re very welcome! That is by far one of my favs. It turns out sooo cute! I love to knit baby hats. Mostly know that I have a baby that is 5 moths. Awesome! I so loved knitting for my little guy too. So fun! Thank you so much for this opportunity! These are absolutely precious. When I saw all the cuteness, I didn’t think I’d ever be able to choose ONE pattern to start with – then I saw your “Yoda” picture and just had to have it. The fact that you’ve got it in a 3-10yo size just made my 7 year old “squee”! 😀 Thank you thank you thank you! YAY!! Please, please share a photo when you’re finished. Would so love to see! Thank you so much for sharing your talents with us. You’re welcome! So glad you like it. Have fun! Thank-you so much for the free pattern! I chose the Santa hat to knit for my 2 great-nieces! thank you! I got the tractor overalls pattern. Yay! I love that one. Enjoy! Thank you so much. I downloaded the Ripple Romper. I’m excited! Awesome! That one is so fun….hope you enjoy! Thank you so much!!! Hoping for a niece next summer and the pattern I picked will be perfect! I love your designs! Thank you so much for the free pattern! Love your patterns though, thank you for your generosity. Oh bummer! I just spent hours previewing every pattern and didn’t realize I’d passed the cut off date/time! I just saw the 36 hrs part thinking today the first day. Oh well, maybe next time — I would have got the Elf Hat! I am a subscriber to your newsletter btw. Maybe I missed an email with the free patterns to new subscribers? i’ve tried the free code but it says it’s invalid. i’ve tried the capital F’s too. Love free things and looking forward to a free pattern! TYVM ! Merci pour ces tutos. Ils sont superbes. What a wonderful blog .. I just signed up and don’t have FB (just not that big of a fan of it ..sorry I know many are !). Thanks for putting this out there in cyberland so we can learn and enjoy your blog ! Thanks for the warm greeting !! Its my pleasure to be here !